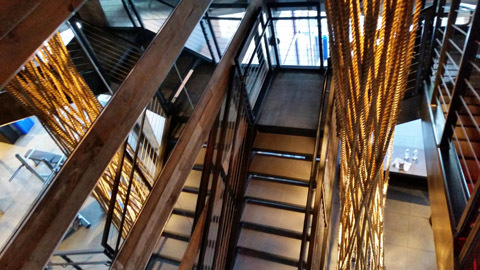 ATS Studios expanded on the architects designs and ideas for the layout of VIDA Fitness. 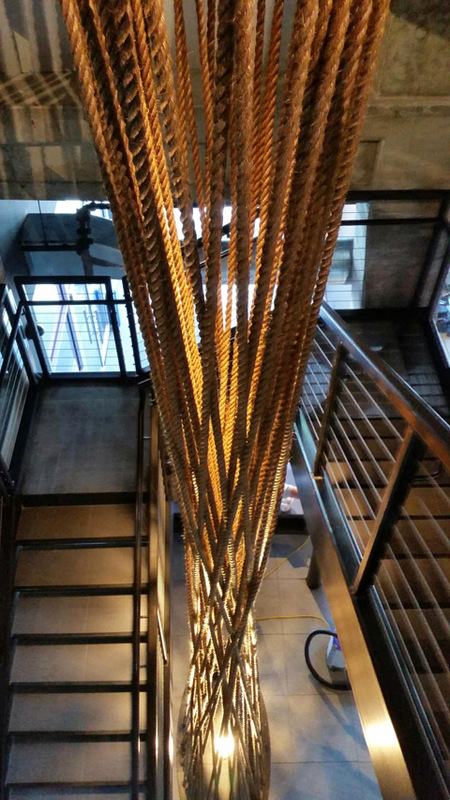 ATS artisans constructed a rope structure to create an infinite vortex shaped threaded sculpture using 1200ft of rope. 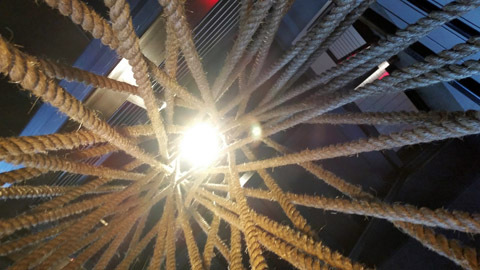 The sculpture contained 900 pounds of rope and 250 pounds of a welded steal structure. 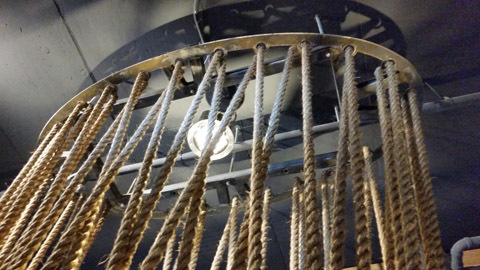 ATS designed reinforcements on top of the structure to hold 6000 pounds for safety. 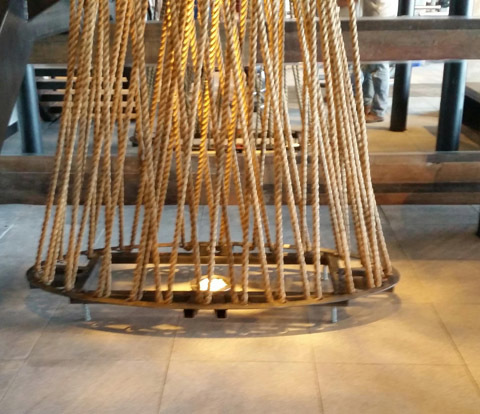 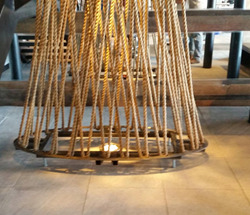 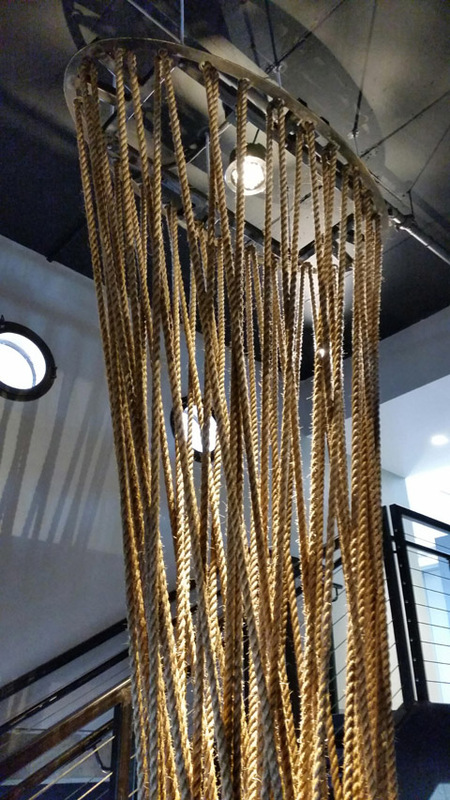 ATS Studios also wrapped two 15ft columns with rope and created rope wall with boat hardware for support in the main lobby. 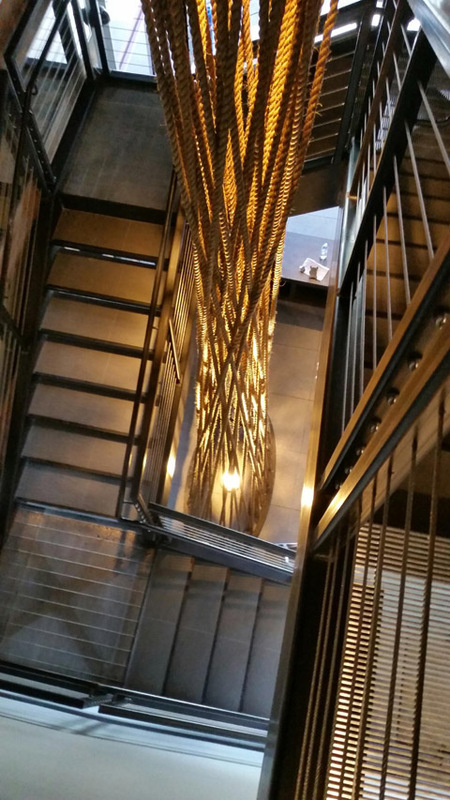 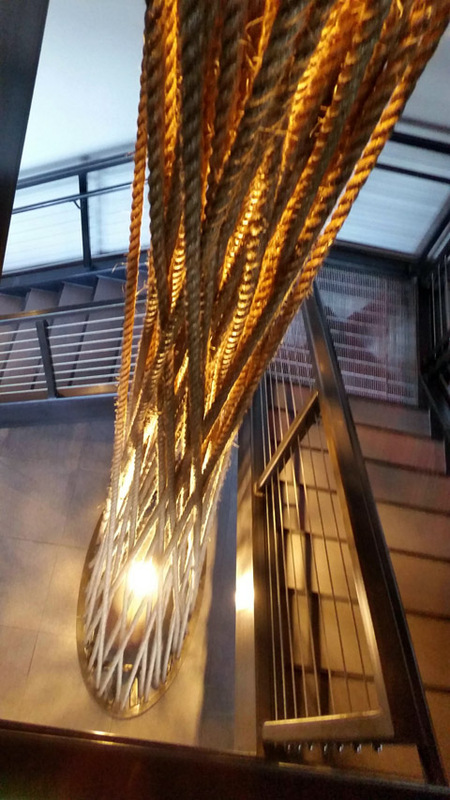 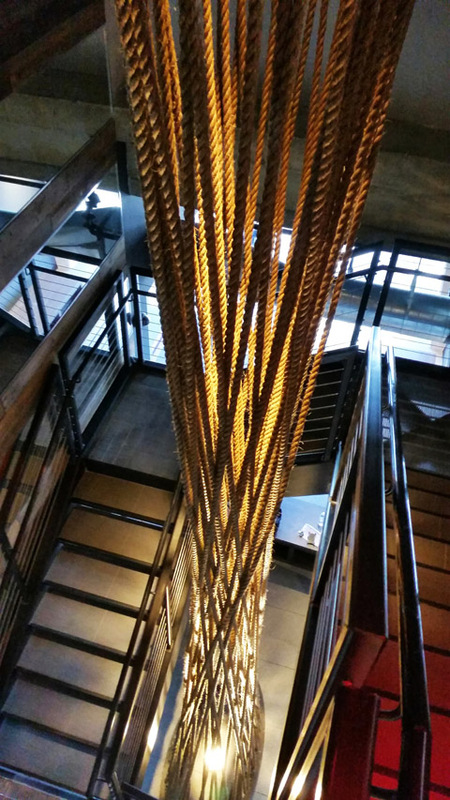 Scope: 25ft rope and metal sculpture on the 3rd floor leading up to the penthouse, and two 15ft columns, and rope wall in the main lobby.